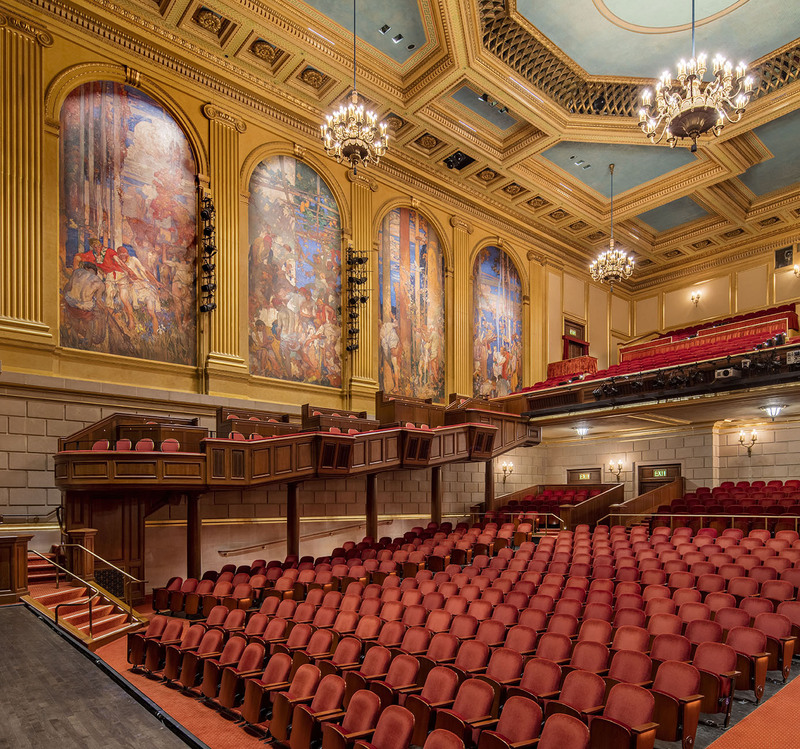 The dedication of the San Francisco War Memorial Veterans Building by Mayor Edwin Lee on September 16, 2015, marked the reopening of the renovated and transformed historic Beaux Arts building after lengthy seismic upgrades and improvements through the Department of Public Work’s Seismic Upgrade & Improvements Project that began in 2011. 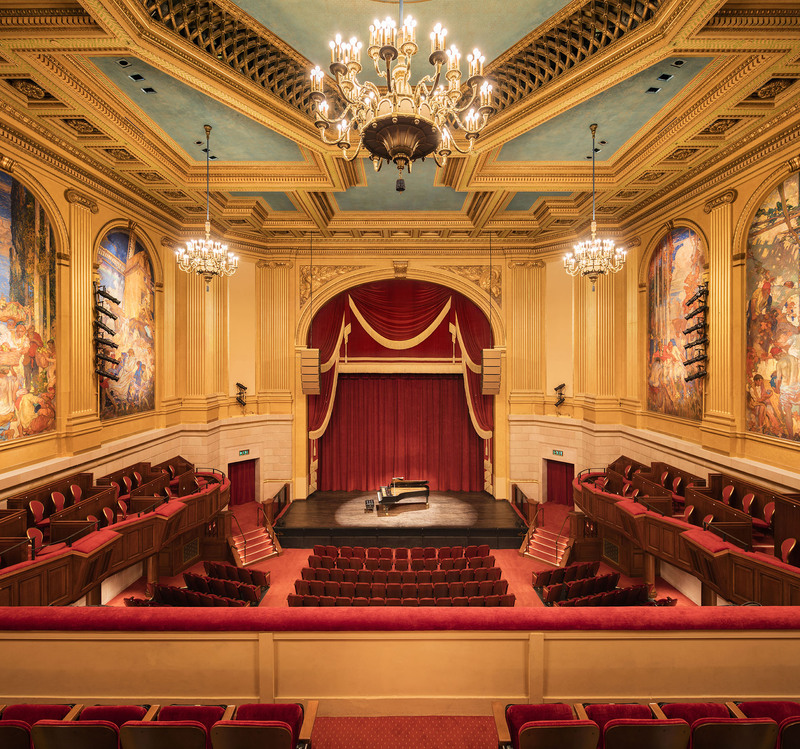 As part of the project team led by Simpson Gumpertz & Heger, Auerbach Pollock Friedlander provided theatre planning and consulting for the 900-seat Herbst Theatre and support spaces. 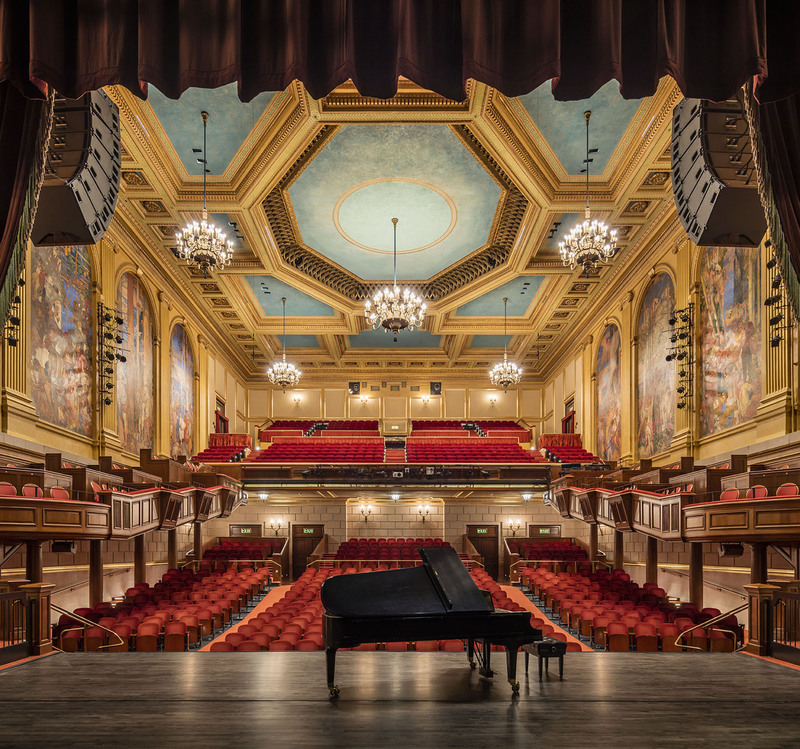 Auerbach Pollock Friedlander’s scope in the Herbst encompassed expanded stage wing space, renovated boxes, new seating, rigging replacement, orchestra lift upgrades, a new orchestra shell and improved theatrical lighting. 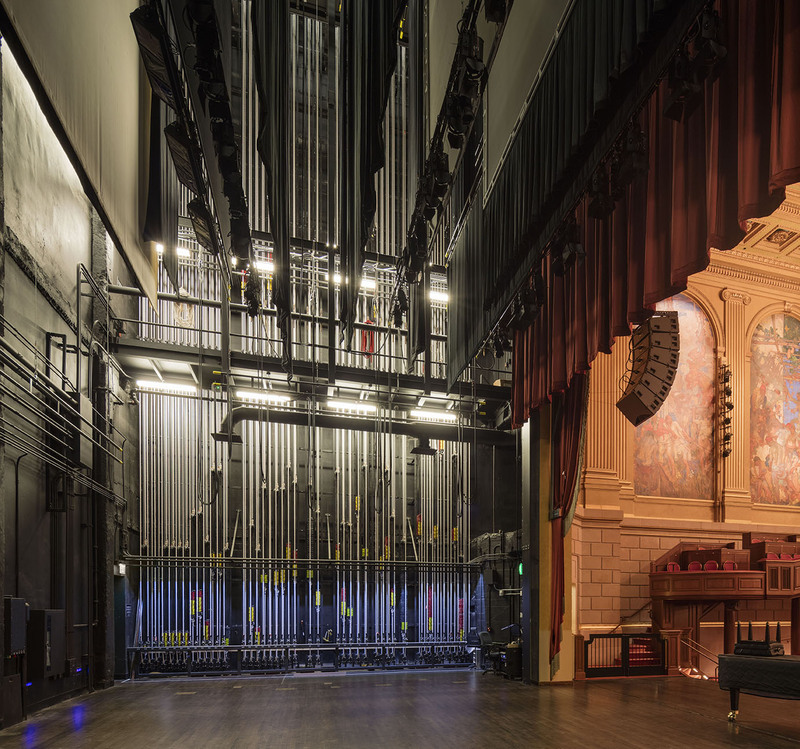 The new backstage suite offers accessible stage level dressing rooms, a multi-purpose rehearsal room and a performers’ lounge. The firm has completed numerous projects in the Civic Center Arts District during the course of its history.